During a pho lunch gathering, Seto-san mentioned there's a new restaurant opened up where the former Venice Garden 海皇 was. Curiosity got the best hold of me as I began my search online for some photos or menus. No luck. How about flipping thru Ming Pao 明報? No luck. In the end, Buddha Boy simply said, "Why don't we just go there for brunch tomorrow?" And that's exactly what we did. A simple bowl of Wonton in Soup 淨雲吞 has always been Buddha Boy's staple in any wonton houses. At $6.75CAD, the order was reasonable in terms of quality and quantity. 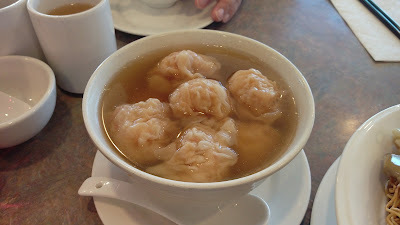 The menu stated "shrimp & pork" wontons, but these had a lot more shrimp than pork. While pork was very minimal, the shrimp had a nice gnaw crunch and was lightly seasoned with white pepper. Buddha Boy was happy. At $12.50CAD, the House Special Chow Mein 招牌炒麵 was not a worthy dish. 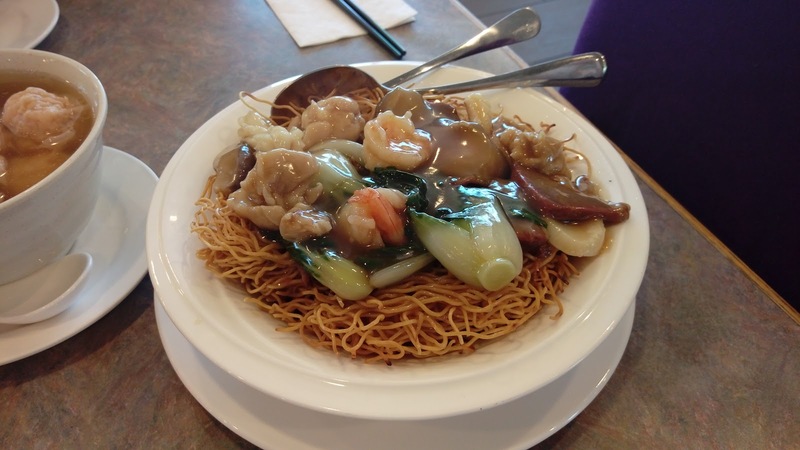 The ingredients used were the common bak-choy, shrimp, chicken, barbecue pork, squid, scallop and mushrooms. As you can see from the photo, portion was not very ideal for its price point. The topping mix was flavorless. Thankfully, the noodles were crispy. For $4.75CAD, the Steamed Rice Rolls with Salted Chinese Donut 油條蒸腸粉, commonly known as 炸兩, was perhaps the best deal of the visit. 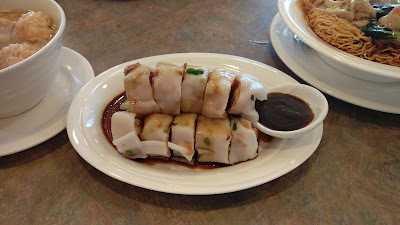 The outer coat of rice roll was thin yet sturdy and kept a tight hold of its Cantonese-style doughnut. Bits and pieces of the scallion and dried shrimps were visible but tastes were not evident. The roll was drenched in a savory soy mix so the dip was not really needed. 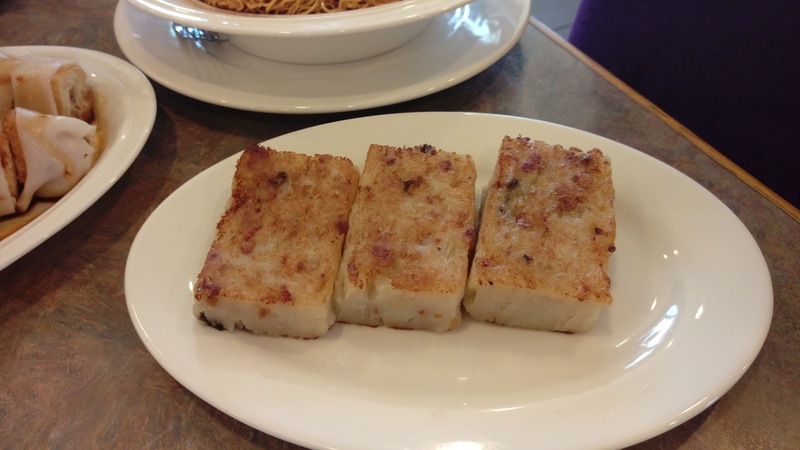 Don't waste $5.00CAD on the Pan Fried Daikon (Lo Bak) Cake 煎蘿蔔糕. The cake was dry and thick with very minimal amount of dried shrimps, Chinese sausages and daikon. We could see a few strands of lo-bak here and there, but there's zero aroma of it. This blows. 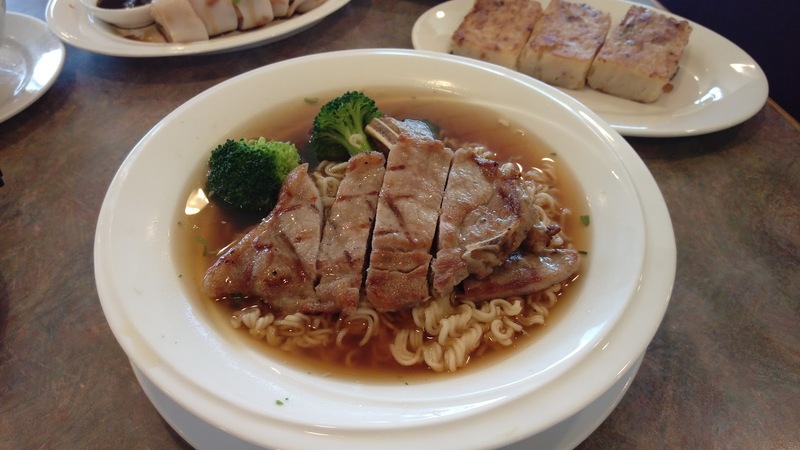 Being the cheap Chinese, I looked for something reasonable and went with a $7.99CAD bowl of Pork Chop with Instant Noodle Soup 豬扒公仔麵. The flat soup base was the old-school pork bone broth with soy sauce. The Nissan instant noodles were overcooked. The pork chop was stiff and tough. My bowl of soup noodles came with a drink and Buddha Boy ordered the HK Style Coffee & Tea Mixed 港式鴛鴦. 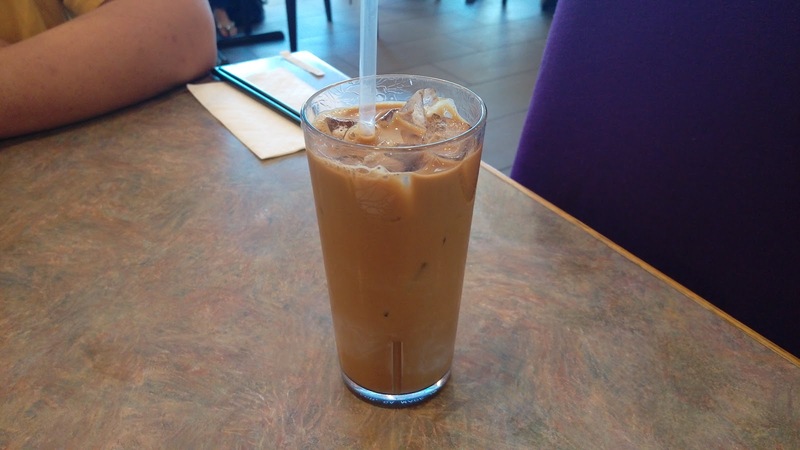 The drink was dominated by the overuse of milk/cream, tea and coffee tastes were weak. Our meal had more misses than hits. 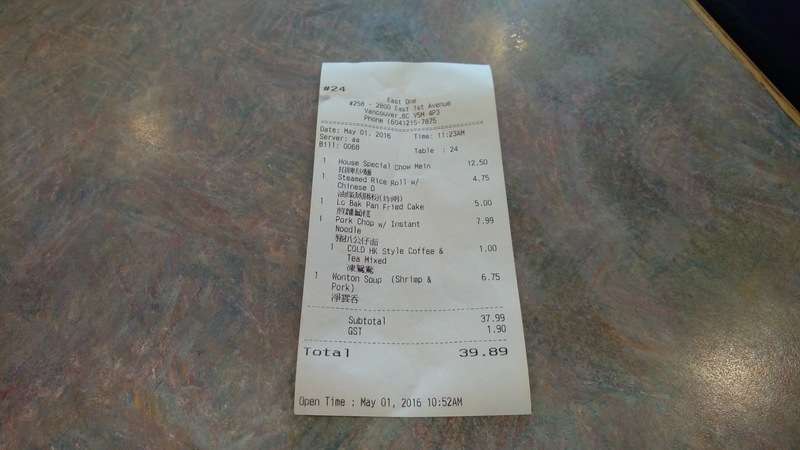 Portions and quality did not match its price points. 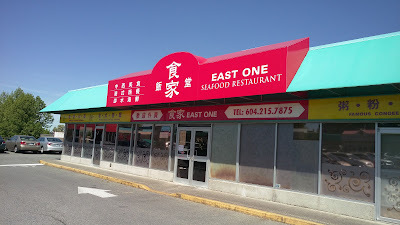 Service was sparse, unless you know the owners or management.